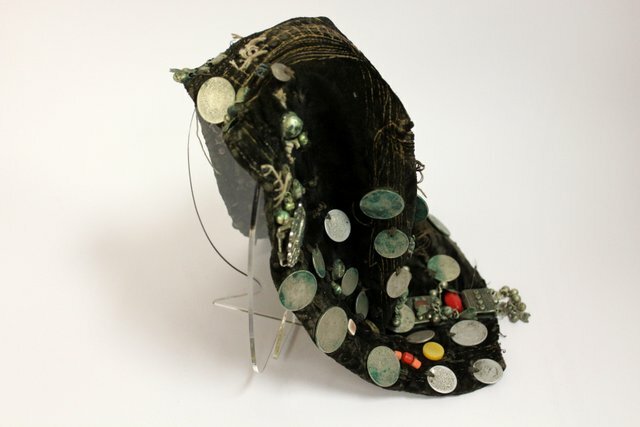 In Yemen the gargush was worn by the Jewish girls and married women. 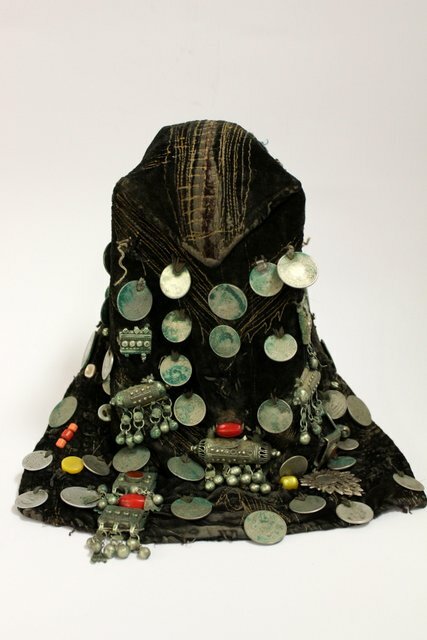 This sample pertains to the early 19th century; it is richly decorated with silver ornaments and coins of the Arab kingdoms and the Ottoman Empire. While wearing gargush the face would be closed by a black band called “sheelah” which the Jews borrowed from the Muslims. On top of the gargush they wore a long veil descending to the ground called the "Antar". At present there are only few Jews in the country and the gargush can only be found in souvenir shops. Several decades ago, the Israeli planes hastily evacuated their co-religionists from this country for fear of Muslim terrorism, leaving all their property here and many of them were quite rich. So the gargushi were adopted by the Arab girls (pictured).